...for her price is above rubies. Isn't that the saying? Well I guess it depends upon your definition of 'worthy'... but let me tell you, a Man who can do DIY is worth his weight in Diamonds! Even though our kitchen is fairly large I ran out of space. 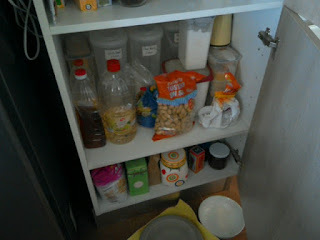 To be more precise, after doing a bulk shop, which is intended to save us money and time, I have nowhere to store everything. 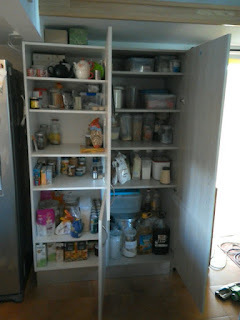 If you had asked me my wish list before we bought this place I would have definitely included a walk-in pantry on my list. This didn't materialise, there simply isn't the room, and this isn't a traditional farmhouse where you would expect to find one. So.... A new cupboard was ordered. 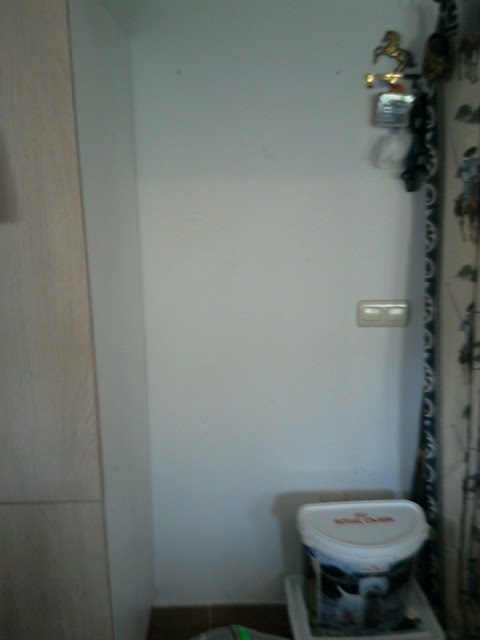 We already had a door, it was being used as a facing on an end cupboard. But nothing in our house is a standard size so the cupboard that we ordered was a bit larger than the existing cupboard. This means a bit of DIY before assembly. I know that women do DIY these days. With the advent of the power tool it is far easier and much more common for an independent woman to do her own renovations and basic DIY. 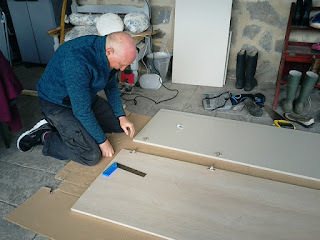 Assembling a cupboard should come under basics but this 'pantry' is BIG and far too heavy for me so in the spirit of good teamwork I left it to the DIY expert. Labels: Building, DIY, What is a Technobilly?